The bulk carrier Star Zeta ran aground in Parana river at Isla del Medio near San Pedro in Buenos Aires Province, Argentina. The vessel was en route from San Lorenzo to Cape Town, but after technical failure hardly stuck in a sandy mud shallow outside the fairway. 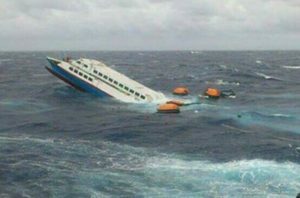 The ship reported the accident to the local authorities and requested assistance. At the scene of the grounded bulker was dispatched rescue boat with divers, which aimed to inspect the underwater part of hull for damages. The salvage operation is under planning, but vessel is still stuck at the Parana river island. There is no report about injured people and water pollution. The accident is under investigation from the local authorities. The further information for the condition of the vessel was not reported, but it was understood that ship was under cargo. The bulk carrier Star Zeta (IMO: 9284477) has overall length of 189.00 m, moulded beam of 32.00 m and maximum draft of 11.00 m. The deadweight of the cargo ship is 52,994 DWT and the gross tonnage is 29,357 GRT. The vessel was built in 2003 by Oshima Shipbuilding at the shipyard in Saikai, Japan. 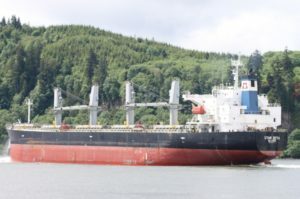 The owner and operator of the bulk carrier Star Zeta is Greek company Star Bulk Management.